R.J. Barker is a softly-spoken Yorkshireman with flowing locks. He lives in the frozen north with his wife and son, and divides his time between writing and looking after his son. CLICK HERE FOR MORE STORIES BY R.J. BARKER. Let’s suppose, for the sake of argument, that you’re a fan of Robin Hobb’s REALMS OF THE ELDERLINGS — in particular, the FARSEER SAGA and FITZ AND THE FOOL books — as many readers are. 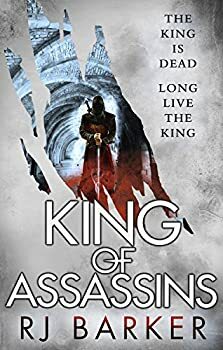 Naturally, with Assassin’s Fate bringing the grand tale of Fitzchivalry Farseer to a close, you might feel a bit cast adrift, wondering where you might get your fix for “young assassin’s bildungsroman” paired with a deadly mentor and spycraft-disguised-as-theatre in an epic fantasy setting. 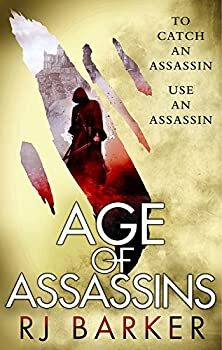 And if that’s your thing, then R.J. Barker’s Age of Assassins (2017) is sure to scratch that itch. 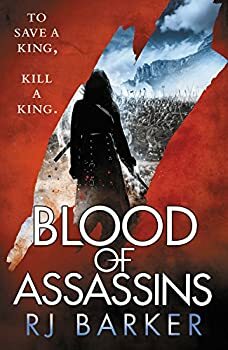 Note: THE WOUNDED KINGDOM is intended to be read in sequence, and as such, some spoilers for Age of Assassins and Blood of Assassins will be inevitable as I discuss King of Assassins (2018).